Richmond Times-Dispatch Obituary for The Rev. 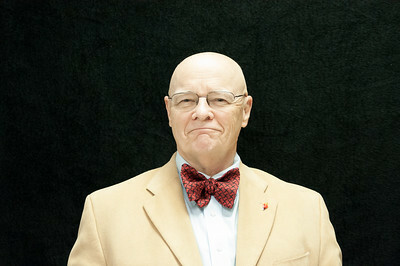 Dr. A. Patrick "Pat" L. Prest, Jr. The Rev. Dr. A. Patrick "Pat" L. Prest Jr., died on the first full day of Spring, March 21, 2019. He was born to A. P. L. "Tom" and Naomi Prest in Detroit, Michigan, on February 28, 1928 and grew up in Newton, Massachusetts and Darien, Connecticut. Pat attended prep schools in New England, earned a business degree at Lehigh University, a master's degree of divinity at Episcopal Divinity School and was awarded an honorary doctorate of divinity in 1976 from the University of the South. As an Episcopal priest, Dr. Prest was ordained in Connecticut and served a parish in Meriden, Conn. He did a residency in clinical pastoral education at St. Luke's Hospital in Houston, Texas. After a brief stay at Bellevue Hospital in New York City, he came to the Medical College of Virginia on March 1, 1958, as Director of Religious Activities and Chaplain Supervisor. In 1968, he cofounded and served as the First Director for the Virginia Institute of Pastoral Care, Inc. an organization that remains active in counseling and education. In the 1970s, he helped create the Board of Professional Counselors and served on that board for 11 years. During that time, he served as a gubernatorial appointee to the Board of Health Regulation and Dr. Prest chaired the board from 1985 until 1987. Pat served as a professor at MCV/VCU for 35 years, retiring in 1993. He served as an adjunct professor at Virginia Union University for 32 years, teaching pastoral counseling. In retirement, he assisted at various churches and served as Priest-in-Residence at the Church of the Holy Comforter in Richmond, Virginia. Pat leaves behind his beloved wife of 62 years, Joan Moynihan Prest; and five children, daughter, Elizabeth Albee, her husband, Rick and children, Lauren (Grant) and Eric (Rachael), son, Alan Prest and Kristin Stanley, son, Tom Prest, his wife, Jeannette and their sons, Ryan (Callie) and Jake, daughter, Margaret "Maggie" Johnson, her husband, Drew and their children, Lindsey (Evan) and Zach and daughter, Martha "Marti" Prest. Pat, also known as "Pops," loved family get togethers that were filled with joy, openness and humor. His secret joy was classical music, meditating on the Bible, especially the words of Jesus, writing as therapy and composing prayers for any occasion. Pat was grateful for the visits by former students and friends. A celebration of Pat's life will be held 11 a.m. Saturday, March 30, at the Church of the Holy Comforter, 4819 Monument Avenue. A reception will be held after the service. In lieu of flowers, please send donations in Pat's memory to the MCV Foundation, P.O. Box 980664, Richmond, VA 23298 and designate your gift to the Prest Lecture, an annual educational event. Donations may also be made to the Virginia Institute of Pastoral Care. Friday, March 22, 2019, 6 p.m.
Like love, Moral Injury is both universal and infinitely diverse; the suffering it names comes from broken ties of love for self and others. It results from the anger, mistrust, shame, and disillusionment that accompany the collapse of our core moral foundations under the weight of harm or evil that cannot be integrated into our identity. The harm may come from authorities or people we trusted; it can also come from actions or failures of our own that have harmed others. This lecture explores Dr. Brock’s work on Soul Repair and offers ways to heal wounds to individuals as well as wounds to the larger society. Dr. Rita Nakashima Brock is Senior Vice President for Moral Injury Programs at Volunteers of America and a Commissioned Minister of the Christian Church (Disciples of Christ). A native of Fukuoka, Japan, Dr. Brock was the first Asian American woman to earn a doctorate in theology (Claremont School of Theology). Dr. Brock was Director of the Radcliffe Fellowship Program at Harvard University from 1997-2001, a fellow at the Harvard Divinity School Center for Values in Public Life, 2001-2002, and a Visiting Scholar at the Starr King School for the Ministry in Berkeley from 2002-2012. An internationally distinguished lecturer and award-winning author, she is a pioneer in the study of moral injury. In 2012, she co-founded the Soul Repair Center, Brite Divinity School at TCU, with Col. (Chaplain) Herman Keizer Jr., U.S. Army veteran, and directed it until May 2017. Her most recent book is Soul Repair: Recovering from Moral Injury After War, co-authored with Gabriella Lettini, the first book written on moral injury. Three instructions. Let go of worries as you walk in. Experience God’s presence in the center. Feel at-one with God, people, and the universe as you walk out. Simple. Ten steps into the labyrinth I had already failed the first instruction. I had not let go of a single worry, I had added to them. I was now worrying that I was flunking Labyrinth Walking 101 by failing to let go of worries. Plus, I was walking too fast. Or maybe too slow - I wasn’t sure. Or maybe speed was not the issue, as long as I managed to let go of worries, which I certainly was not doing. In any case, I clearly was not capable of following even the simplest of instructions for walking the labyrinth. My earliest memory of the eleventh hour of the eleventh day of the eleventh month is of walking home from kindergarten at age 5, accompanied by my mother. As I saw the American flags that had gone up along Route 51 in northern Illinois, she explained to me that these were in preparation for the parade which would take place the next day. Several years later, in 1956 when the holiday had become Veteran’s Day, I carried one of those flags in the parade as a Cub Scout. Veterans from the Great War were still in abundance. There have been more parades and ceremonies in the subsequent sixty five years than I can count or remember. The carnage of the War to End All Wars was unimaginable at that time. War had become mechanized with tracked killing machines, automatic weapons that made the Gatling gun look ancient and railroad bombardment artillery that wreaked havoc on nearby towns and their civilian populations. In addition to 40M total combatant and civilian deaths, the resultant Spanish Flu pandemic produced another 2.6M deaths. Pastoral counselors bring to the task of assessment the twin lenses of contemporary psychology and the time-tested wisdom of the world’s major religious traditions. Too often, the psychological lens dominates the process of assessment and the spiritual perspective gets relegated to a secondary position – or even neglected altogether. In this workshop Donald Denton, author of two books on assessment, and Douglas Thorpe, who teaches assessment for Doctor of Ministry students, seek to correct the imbalance by focusing attention on methods and resources for spiritual assessment. Distinct from adolescence and adulthood, it is a period that can pose unique challenges and obstacles---when “love, work, and worldviews” are explored in greater depth. Five features of emerging adulthood include: identity exploration, instability, self-focus, feeling in-between, and feelings of possibility. Entering counseling during emerging adulthood can be a rewarding and effective way to grow through the periods unique challenges; working with a counselor can help emerging adults tackle the confusion, instability, and questions of identity that may emerge. Meredith Southwell, a licensed clinical social worker at VIPCare, is passionate about providing counseling to young adults dealing with challenges of emerging adulthood. In April we said our final goodbyes to Uncle Bob. In keeping with the current demand for “full disclosure,” I need to say that Bob Peterson was not my uncle in the strict sense of relation through biology or marriage. He was my uncle because he adopted me and the 200 other students who passed through the Ubangi Academy during the years he and Aunt Ruth Ann were dorm parents there. Uncle Bob taught me many important lessons which shaped my character and habits. Two of the skills he taught me stand out for the lasting impact they exerted on my life. Uncle Bob taught me how to play the trombone and he taught me how to sharpen a saw. Trombone playing was one of the great joys of Uncle Bob’s life. He played with a warm tone, a smooth legato, a keen ear for the often-elusive pitch of a slide instrument, and a passion he rarely let show in other venues. As a teacher and band leader his patience never flagged, even when we junior band strugglers mangled the melodies of the simplest tunes. One of the third trumpets was too nervous to play a tuning C so she cajoled her stand mate into surreptitiously playing the C while she boldly faked it. Uncle Bob commented, “The third trumpet is flat. In fact, both third trumpets are flat.” Maybe he was fooled by their ruse, or maybe he was oh-so-subtly letting them know he was on to them but was not going to shame them in front of the whole band. Since the beginning of June, old and new media outlets alike have published anguished reports about the rising rate of suicide in the United States. These stark statistics gained poignant specificity with news that designer Kate Spade and celebrity chef Anthony Bourdain had taken their own lives. Fans, friends and families alike were left grieving, searching for causes, and asking unanswerable questions about any clues they might have missed in the actions of these two highly acclaimed stars of their respective fields. No single cause adequately explains a person’s choice to kill themselves, let alone the rising rate of suicide across the country. Depression and other forms of emotional and spiritual pain often play a role, but other factors contribute and place men, especially white men, at greatest risk. Journalist Mitch Smith, writing in the New York Times on June 10, 2018, quotes Misty Vaughan Allen, suicide prevention coordinator for Nevada: “There are mental health components, but also there’s relationships, employment, a lack of connectedness that we might see in males that increases the risk for suicide.” A history of trauma can be a factor, contributing to a rate of suicide among veterans that is twice as high as nonveterans. Easy access to guns also plays a role, not because gun owners are more likely to attempt suicide, but because attempts by firearm are lethal at a much higher rate than attempts by any other means. If you are thinking about killing yourself, don’t do it. You will solve nothing. You will only hurt those who remain. Instead, talk to someone. Tell a friend, a family member, a member of the clergy, or a co-worker. Call the National Suicide Prevention Lifeline at 1-800-273-8255 (TALK). Go to a hospital emergency room. Call VIPCare at 804-282-8332 and make an appointment to see one of our counselors. There are people who will walk with you through your troubles until hope returns. The series is free and open to everyone.